Mr Tumble Learning Pad includes 6 activities to play, touch sensitive screen and interactive quiz mode. 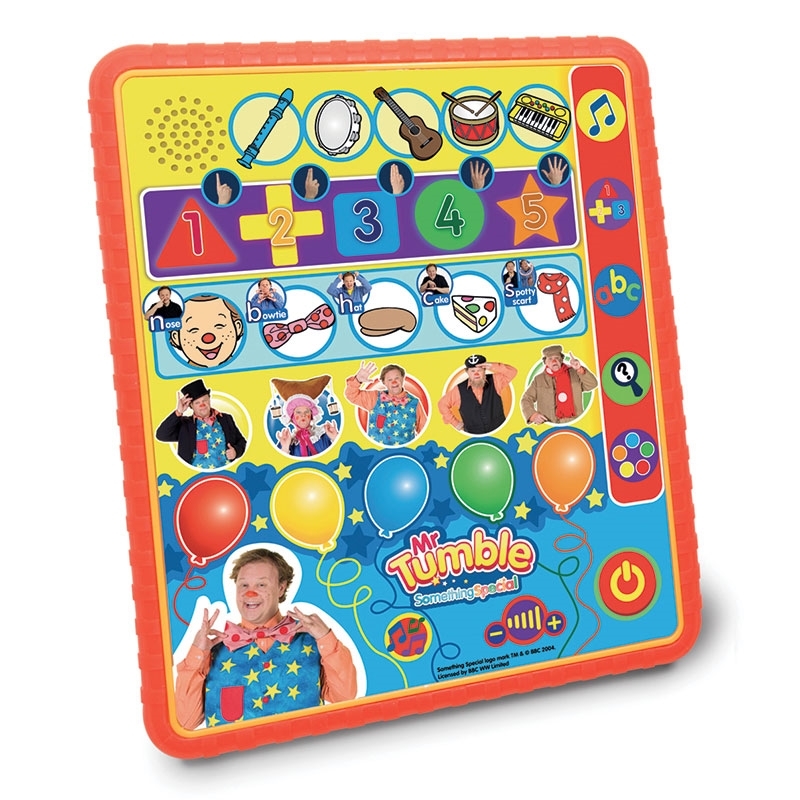 Learn about musical instruments, sounds, colours, numbers and shapes. 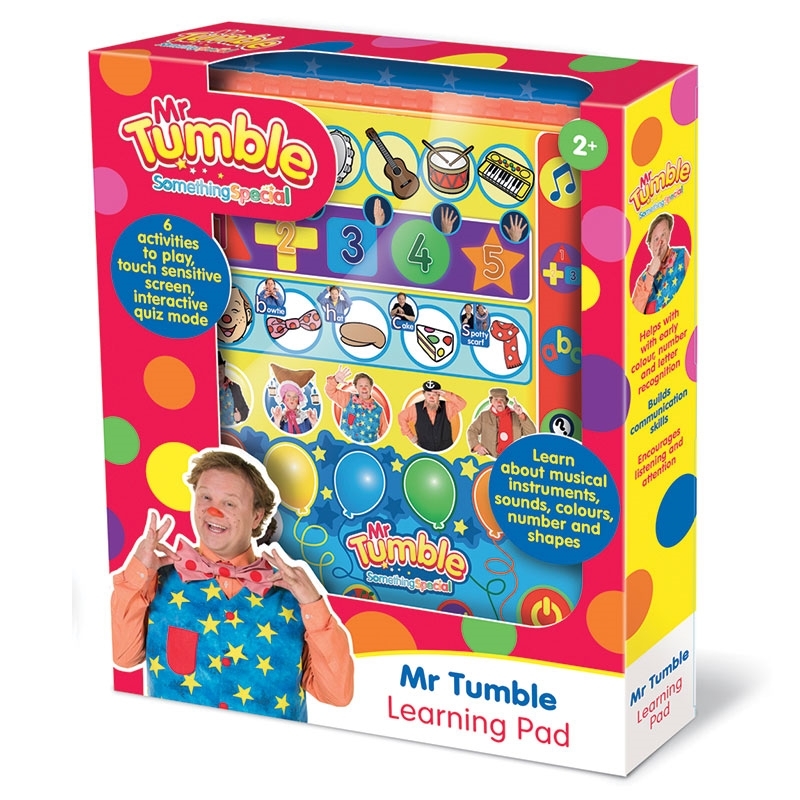 Let your child learn with Mr Tumble and Friends. Press and picture/image on the tablet to hear fun sounds and facts. 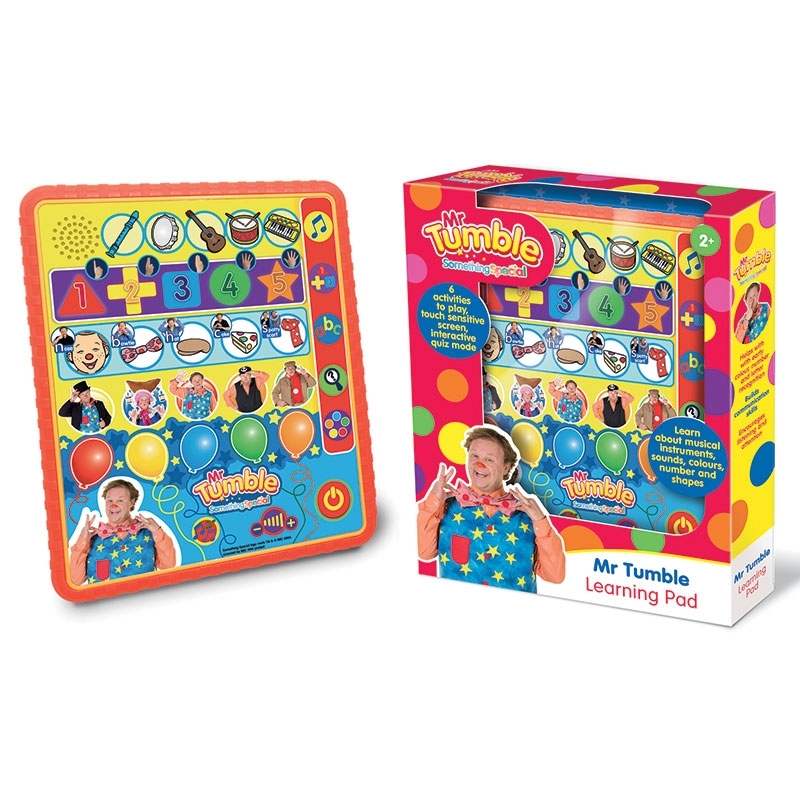 Includes six games to encourage learning about colours, numbers, shapes, letters, characters and musical instruments. The touch sensitive screen makes exploration fun and easy to follow. BBC logo TM & © BBC 1996. SOMETHING SPECIAL logo TM & © BBC 2004. MR TUMBLE TM & © BBC 2015. Licensed by BBC Worldwide Ltd.